If you're a fan of Shonen Jump manga, then you can't afford to miss this place. Located in Kanagawa's tallest building, Landmark Tower, it's easy to get to from the subway or JR Sakuragicho Station. It's a bit hard to find on the second floor, but look for the colorful character motifs outside. Personally, for me, I haven't been a fan of Jump comics in a long time. I just haven't had the time to read any manga lately, so my fangirling days are from about 10 years ago. Even so, I had a lot of fun looking around at the different goods. The store is divided into sections, so each manga series has its own little spot. Some of the more popular ones (One Piece and DBZ) have walls of merchandise, while other less popular or older series (Saiki K and Kenshin, for example) have very little to no goods. 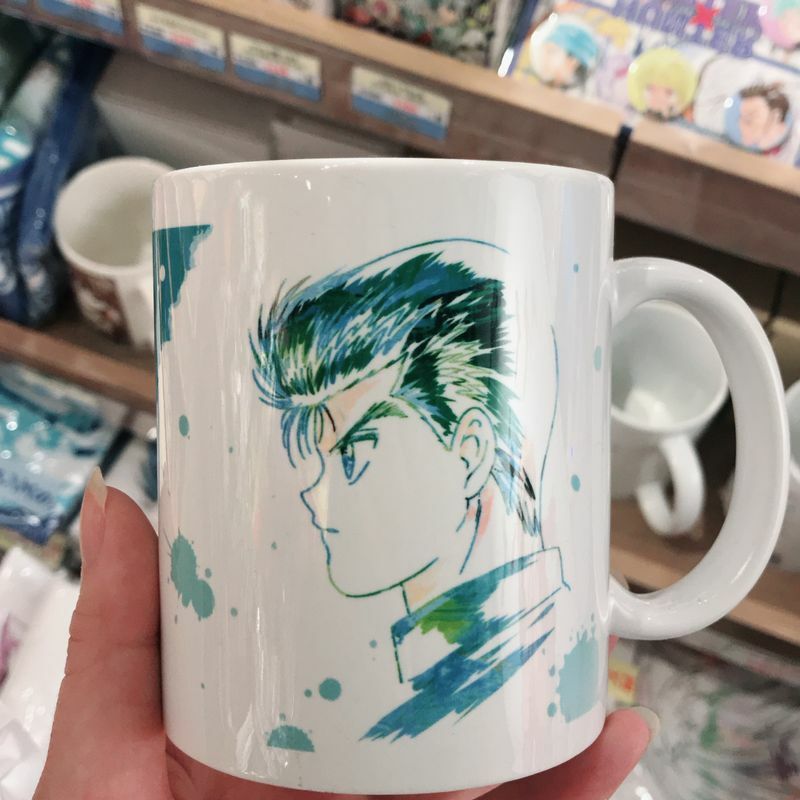 I always go in looking for Yu Yu Hakusho stuff. 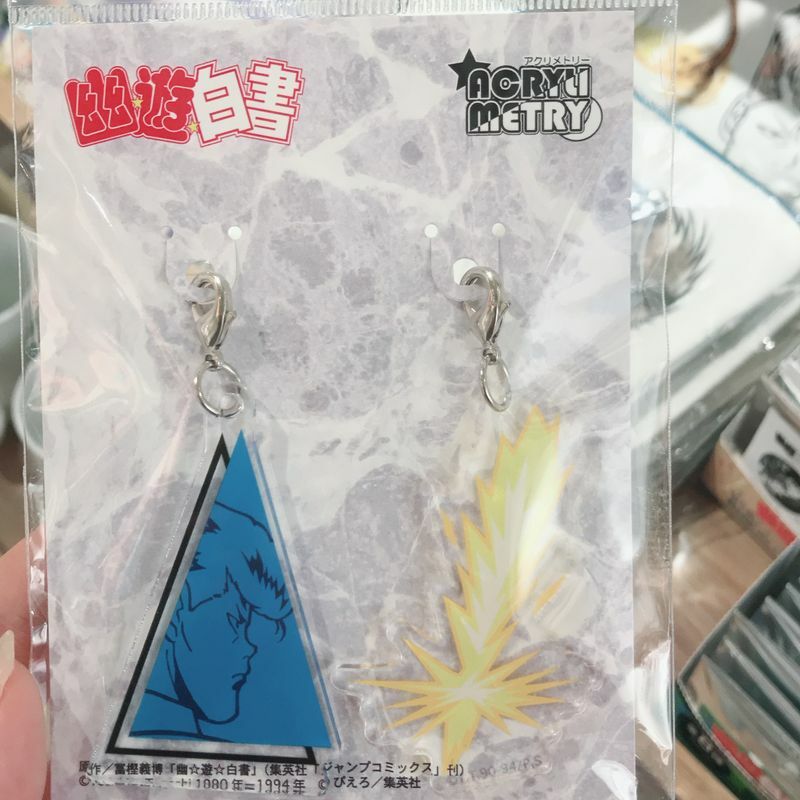 Recently, it was the anniversary so there were a lot of YYH things to buy! However, the more often I visit, the less new YYH things they have on display. But, the merchandise rotates very frequently, so I always find myself checking back. If you don't want to buy anything, it's cool just to look. On the walls, they have artwork displayed. 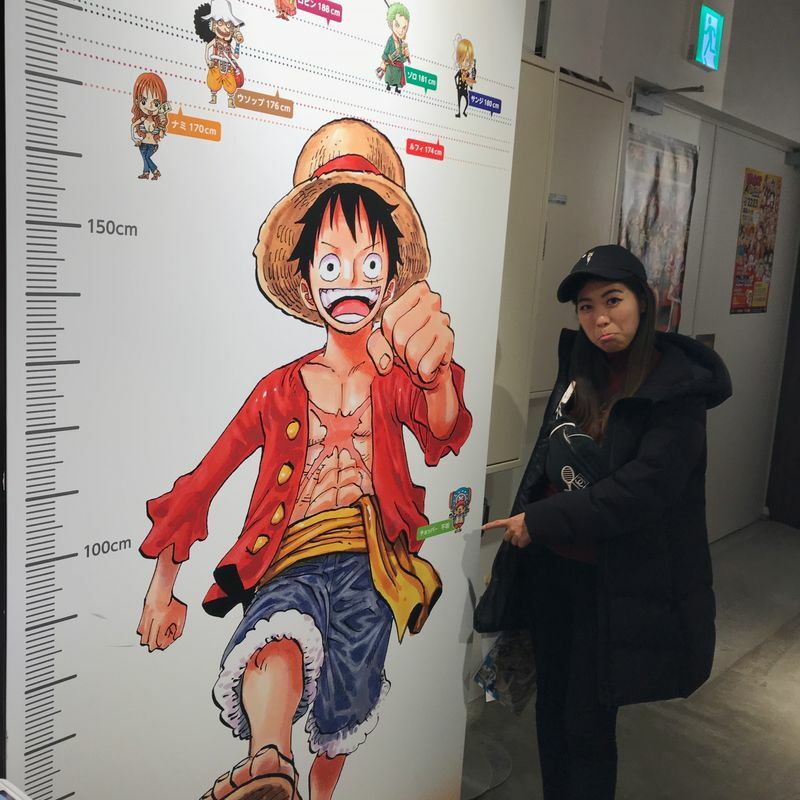 There's also a height chart where you can take pictures and compare yourself to the in-world characters of either Boku no Hero Academia or One Piece. They also run promotions often and give free stickers, which is even more incentive to check back (and make purchases) often!